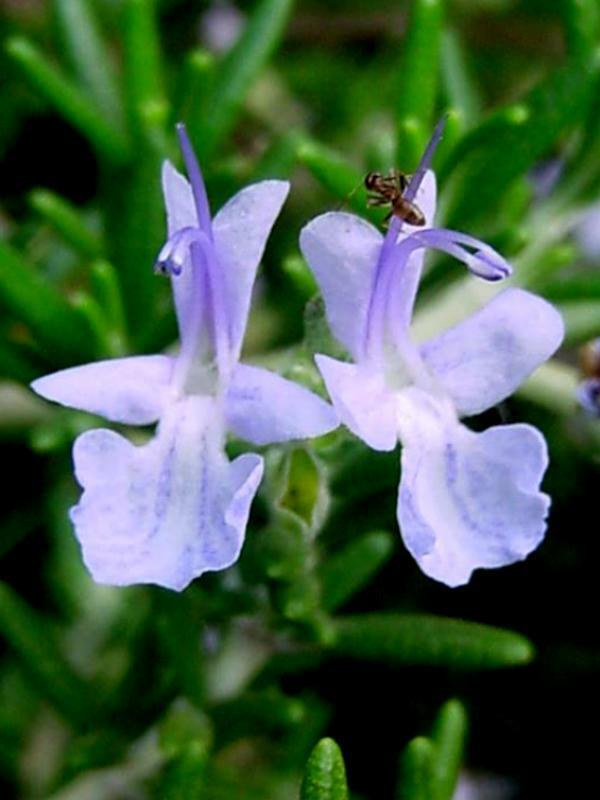 Rosemary is a hardy, evergreen shrub growing 2' to 6' tall and often planted on banks to control erosion. 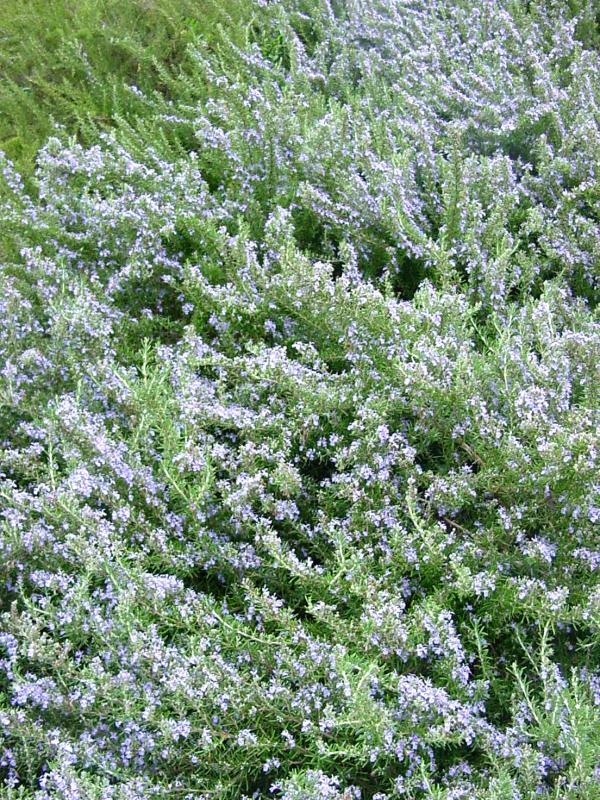 The stems are intricately-branched and woolly when young. The leaves are opposite with fascicles of 4-6 additional leaves in the axils. They are narrowly linear to 1/2" long, revolute, dark green and shiny on the upper surface and densely woolly beneath and around the base of the fascicle, obtuse-tipped and have a raised midrib on the under surface. 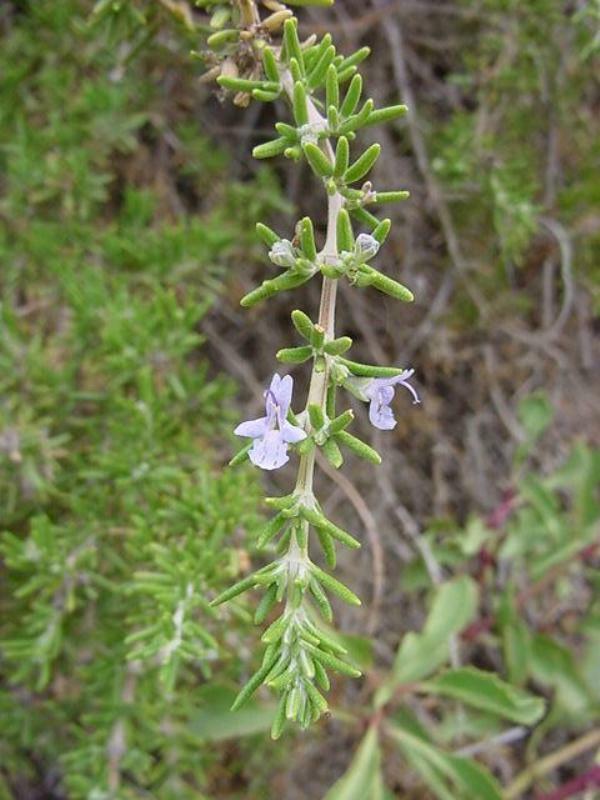 The flowers appear in 1-several-flowered clusters in the center of the leaf fascicles and terminally on the branchlets. The calyx is ± glandular-pubescent, deeply cleft laterally, and less deeply cleft anteriorly, forming three sharply triangular lobes about 1/16" long. The corolla is pale lavender, strongly 2-lipped, with the upper lip 2-lobed and the lower lip divided into one large terminal lobe which is irregularly crenulate and somewhat cup-shaped, and two smaller lateral lobes. There are two arcing stamens which are inserted inside the corolla throat at the junctions of the terminal and lateral lobes, and the anthers are curved, blue, <1/16" long and fused. The single pistil is slightly longer than the stamens, to almost 1/2" long, also arcing, and has a two-parted stigma. Both stamens and pistil are well-exserted. 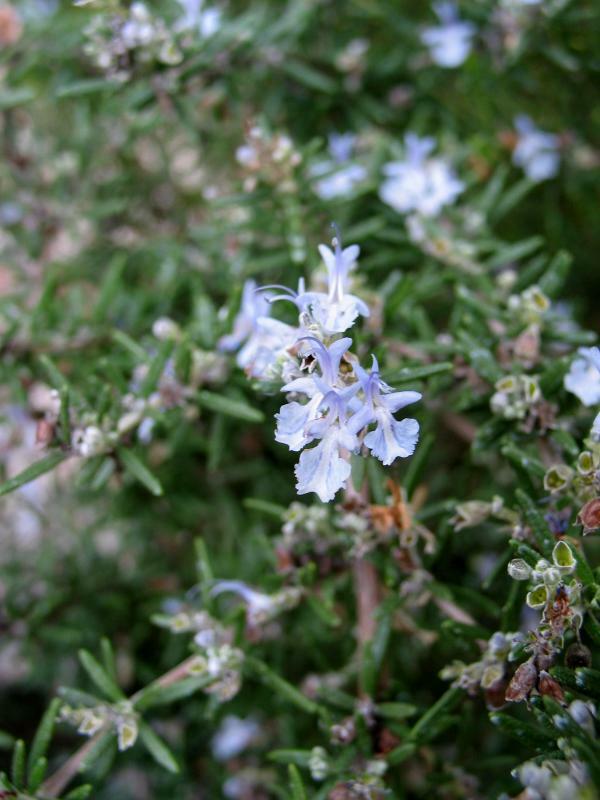 Rosemary may be seen blooming in winter, spring or fall, and has become naturalized in some areas. These pictures were taken along the trail just below the main parking lot at Mt. Wilson in the San Gabriel Mountains. 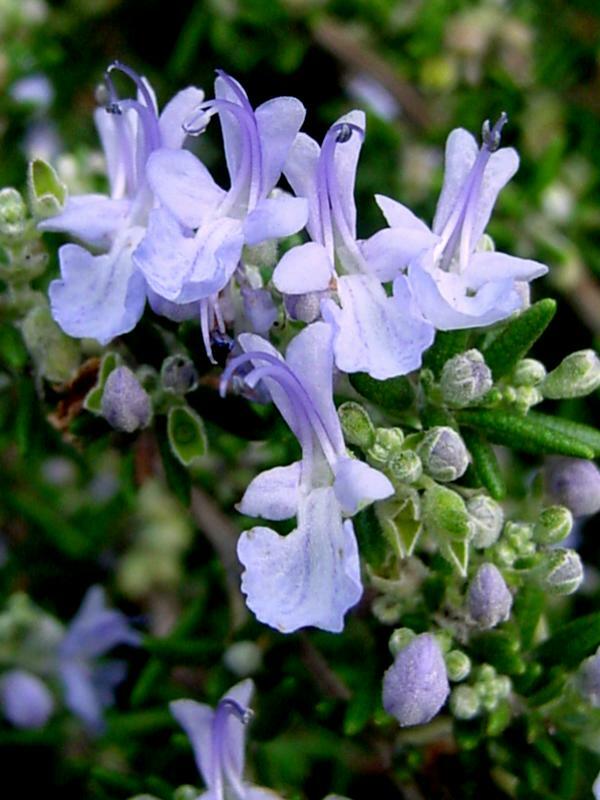 Click here for Latin name derivations: 1) Rosmarinus 2) officinalis.